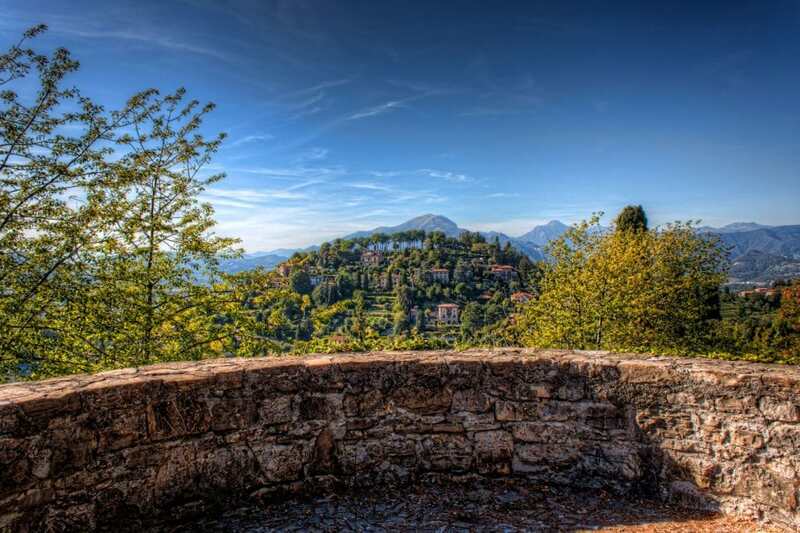 Bergamo has the big advantage that you don’t have to search long to find a high view point. Being split in upper and lower city you always have a good view over the lower new part of Bergamo (Città Bassa). 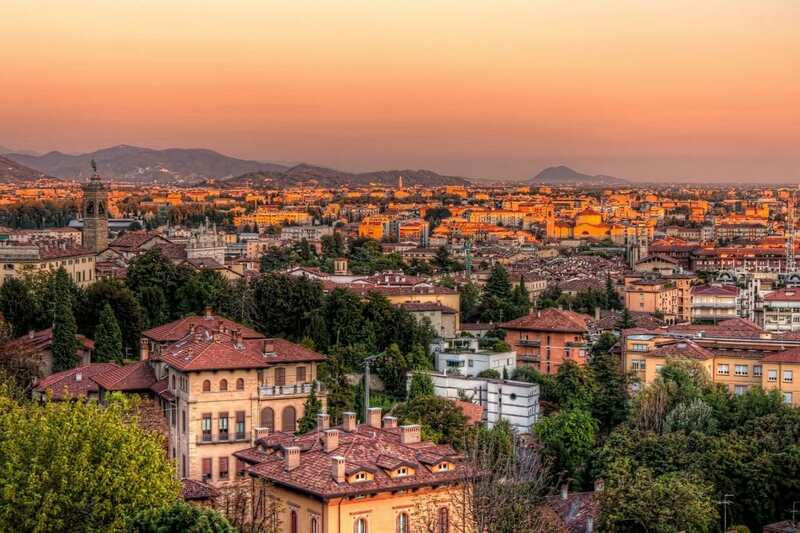 With the panorama of mountains in the back, Bergamo is still one of my favourite places in Italy. The Basilica of Santa Maria Maggiore in Bergamo was founded in 1137 and it is located in the center of the Upper Town of Bergamo. Unfortunately, we couldn’t go inside during our day in Bergamo, but also from outside it is an impressive church. Remarkable are the lion statues to find on the entrance of the church since they could be a sign that the church once was used as a court as well. This photo stands for so many reasons why I love Italy. Starting with the landscape: From up there in Bergamo you have perfect view over the mountains, the beginnings of the Alps. With clear sky our view seemed to be unlimited. And then there is this typical, Italian architecture. 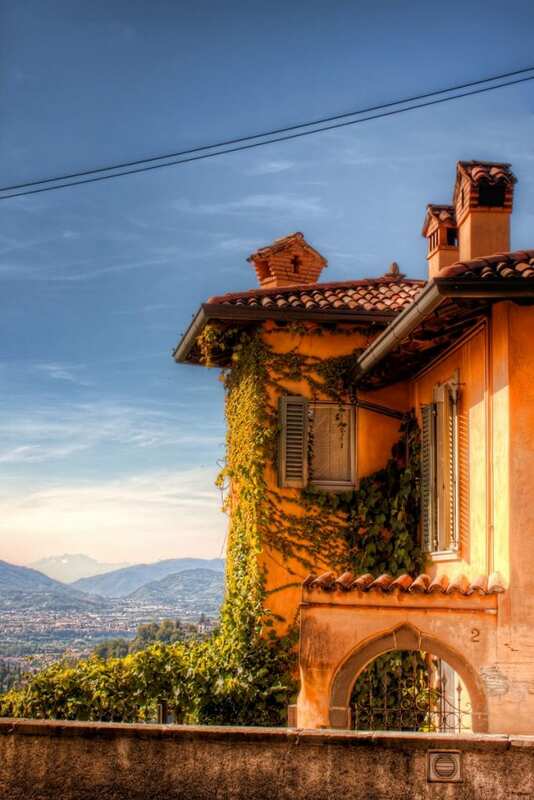 Is anybody not dreaming about living one day in such Italian mansion? Bergamo is the town that surprised me the most on all my trips through Italy. It is built in three layers, starting at the bottom of the hill with the new town (Città Bassa). 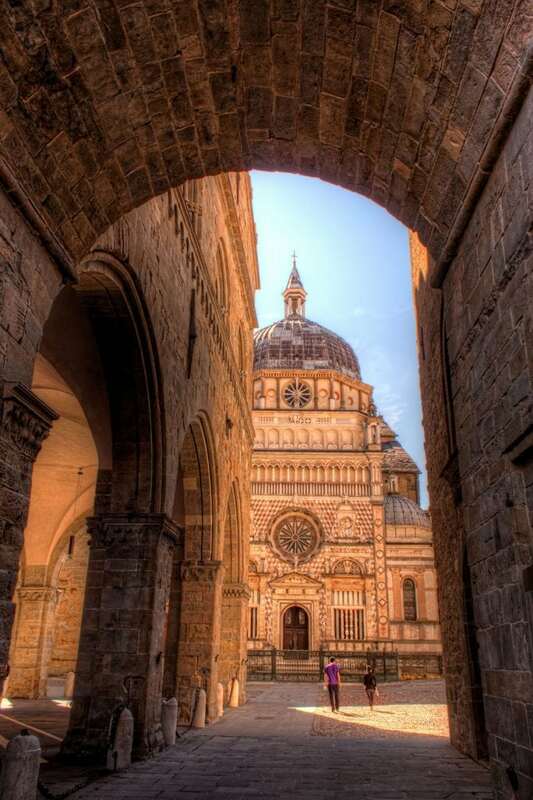 With the bus you can go up to the old town (Città Alta) and here you will discover all the beauty of Bergamo. The view from the old city walls and the architecture within the walls are breathtaking.